Overworked, without pay, so a little help please! 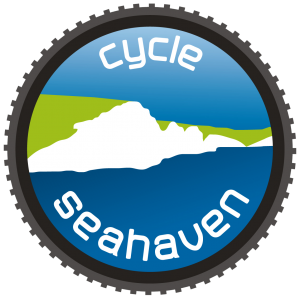 This is Cycle Seahaven’s 10th year and membership is at a record high. We are not far off having 400 members but we can only achieve this if those of you that haven’t renewed do so now. There are about 70 of you that haven’t. Denis Bass, the Membership Secretary and Treasurer, literally spends hours and hours of his free time chasing those that haven’t paid. So, PLEASE help to reduce his workload by making sure you have renewed your subscription for this year before the end of January. Annual membership is £8 for individuals, and £14 per household, reduced by £1 if you pay by standing order (CSH’s preferred option). It’s not a lot so little help sending your payment would GREATLY appreciated (and keep Denis looking young and fresh)! If you’re not going to renew please let Denis know by emailing him using the following link and selecting ‘Membership’: https://cycleseahaven.org.uk/contact/ If you’re prepared to tell us why you’re leaving we would welcome the feedback. If you are going to renew, or you can encourage a few friends to join, please use the following links. The member who encourages the 400th member to join get a year’s free membership. Payment methods are described below. Standing Order Setting up a standing order ensures that your membership is renewed automatically each year – this saves us administration in chasing renewals. Just complete the appropriate Standing Order Form and post to the Treasurer at the address above. Send payment to 07788428082 with text or email to denis stating what the payment is for. https://cycleseahaven.org.uk/wp-content/uploads/2019/01/6359231244780965171196796162_Help-paperwork-857x522-e1484669510130.jpg 363 848 Guy Reynolds http://cycleseahaven.org.uk/wp-content/uploads/2012/04/CycleSeahaven2-300x298.png Guy Reynolds2019-01-23 18:08:412019-01-23 18:08:41Overworked, without pay, so a little help please!